Welcome to the birthplace of Cutter Aviation — the city where our legacy began in 1928. 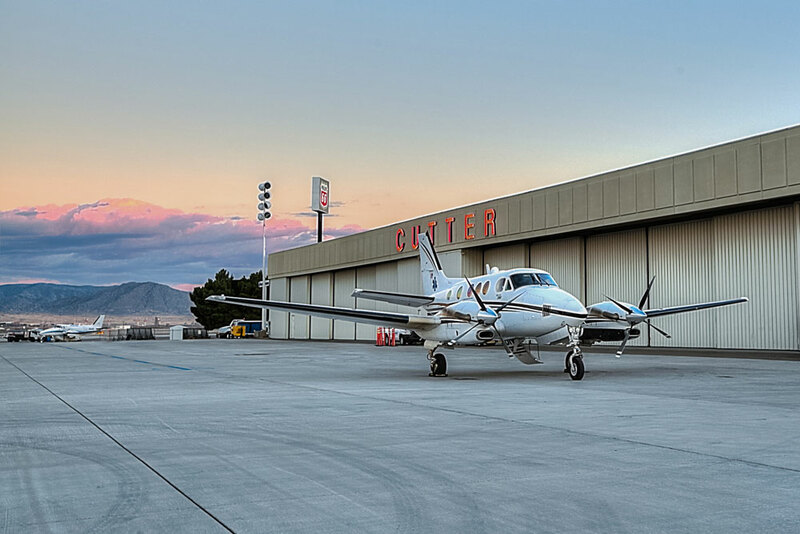 As the Corporate Aviation and General Aviation gateway to New Mexico, Cutter Aviation Albuquerque is the perfect FBO to begin or end your travels; business or pleasure. 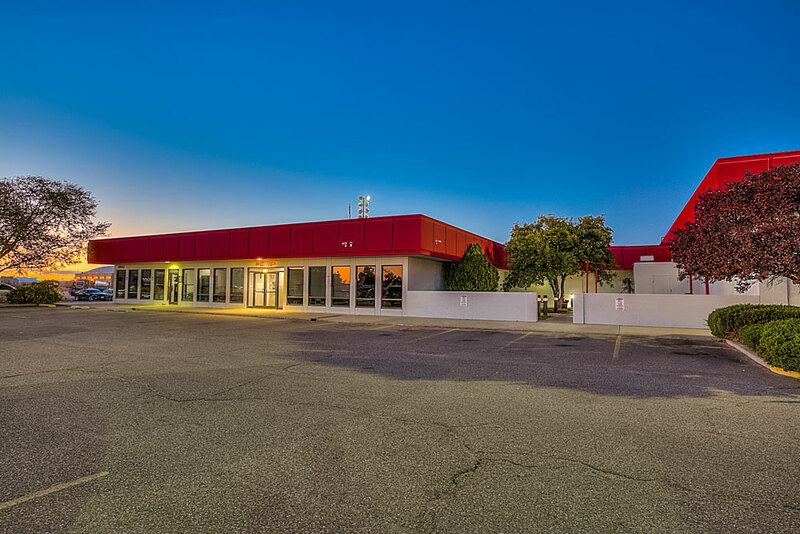 Our highly trained team of line service and guest service professionals are dedicated to making your visit to Albuquerque a pleasant one from start to finish. 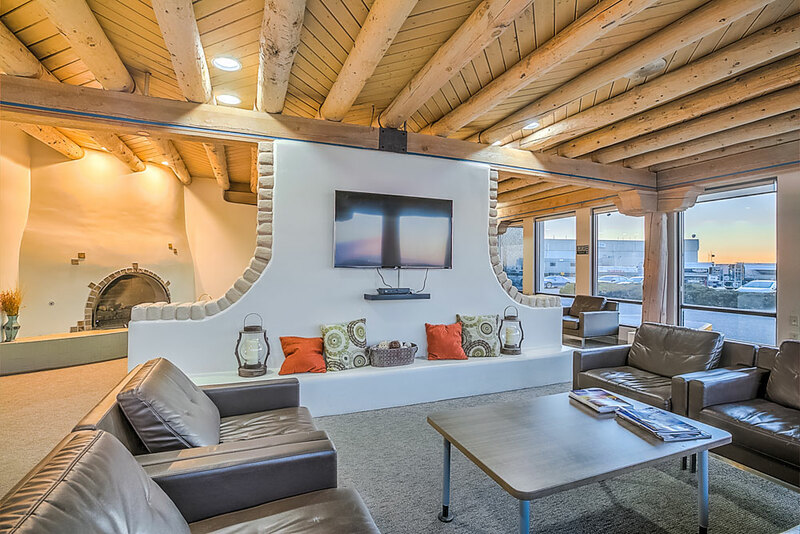 Our FBO offers a complete range of high-quality services and amenities to maximize your comfort during your stay. 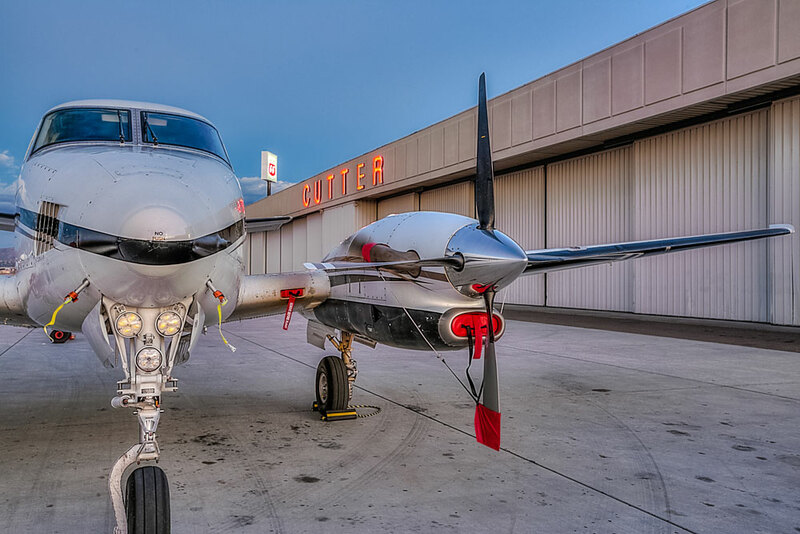 No matter if you arrive by a light piston aircraft or a large airline-class aircraft, we are prepared to meet all of your needs and treat you like a part of our family as we have since 1928. 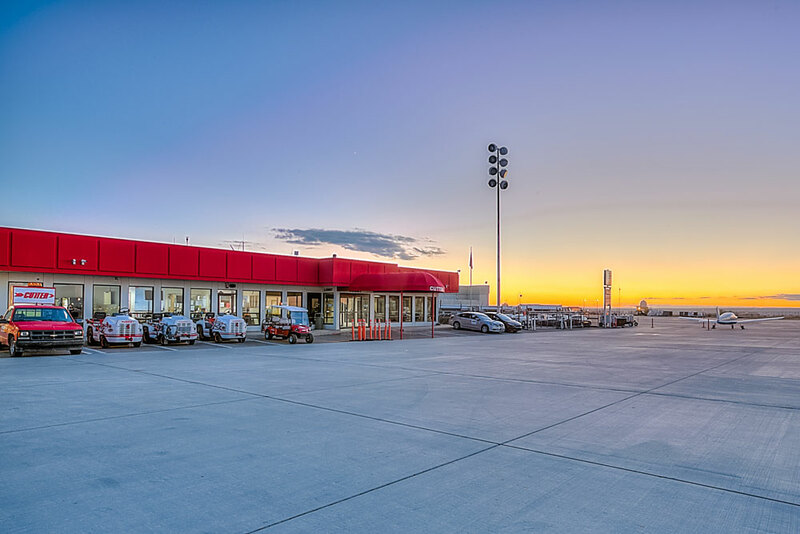 Cutter Aviation Albuquerque is proud to offer full line services using high quality Phillips 66 Aviation Fuels. Our experienced NATA Safety 1st trained and SMS qualified staff is professionally trained on providing the best in safety, customer service, and efficiency when caring for your aircraft. Our knowledgeable guest services representatives are at your service to provide assistance in accommodations, ground transportation, catering, and anything else you or your passengers and crew may require during your visit. No matter what, the Cutter Aviation Albuquerque team is ready to serve you and we look forward to having you as our guest. 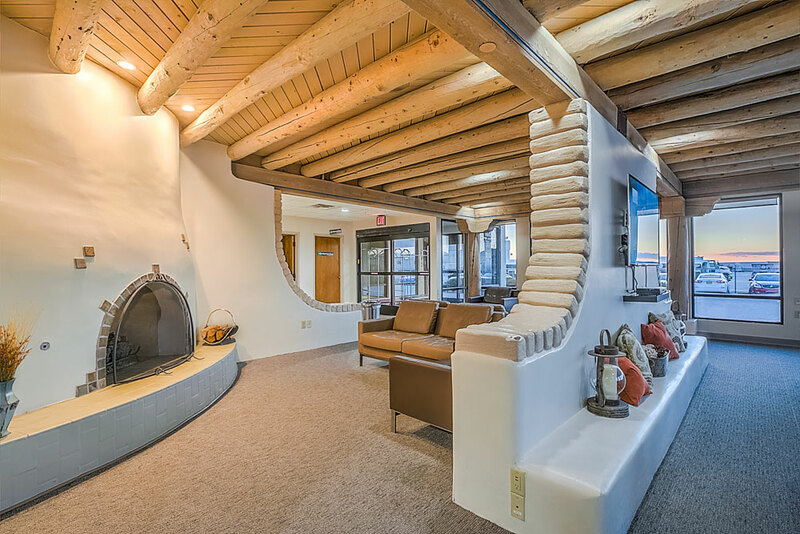 The following are our personal selections of several of our favorite spots nearby Albuquerque Int’l Sunport. We would be glad to make further recommendations based on your preferences. Call us at (505) 842-4184. We also have other properties around the city. Please contact us if you are looking for accomodations in another area in Albuquerque. Arrived for first time use since 1994! Jet was promptly met by line personnel and quickly fueled for a departure. After paying for fuel, decided to grab some lunch and counter personnel recommended DION's. Crew car, excellent directions and on our way to great lunch. All personnel provided excellent customer service! As needed, we will return for fuel and service on our cross-country trips. I fly helicopters for an air ambulance company and visited Cutter ABQ regularly over the past few months. I just wanted to pass on to management how impressed I have been with the friendly & helpful staff and the clean & welcoming facilities. Middle of a busy day or 3 AM, the staff have always been friendly, helpful and professional. Stopping for fuel at Cutter was a pleasure, not a chore. The brownies and lemonade helped of course! I stayed with Cutter overnight last week. 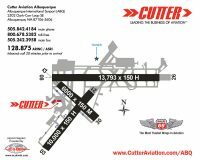 When I had asked on BeechTalk.Com which FBO to use at KABQ, the unanimous feedback was "Cutter". Now I understand why. Quick, friendly service, trying to help in any possible way. Got 20 lbs of free ice for my B-Kool on the morning of departure. I'll be back at KABQ this weekend and will use Cutter again. I'm Forest Finch, Crewchief/Mechanic on UH-60 878. We are out of Lakehurst, NJ. The reason I'm sending you this e-mail is to express our gratitude for the FANTASTIC support you gave us during our recent stay with you. I have traveled a lot in my career, and have NEVER, and I do mean NEVER, experienced F.B.O. that was good as yours! Your crew was more than helpful! Anything we would even ask for was provided immediately! What a pleasant experience you made it for us! I can't thank you enough for your service. And would 100% recommend that we do it again !! Special shout out to Rick, Dave, Jeff, Chaves, Melissa, and Promise! Just wish I could've voted in the best F.B.O. thingy that is going on. I truly think you guys have something special going on! Keep up the good work, and many thanks again. My family stopped at Cutter Aviation in Albuquerque a couple of times this past week while traveling in our A36 Bonanza. I had also stopped there in my Bonanza a year ago while on the last legs of an around the world trip. 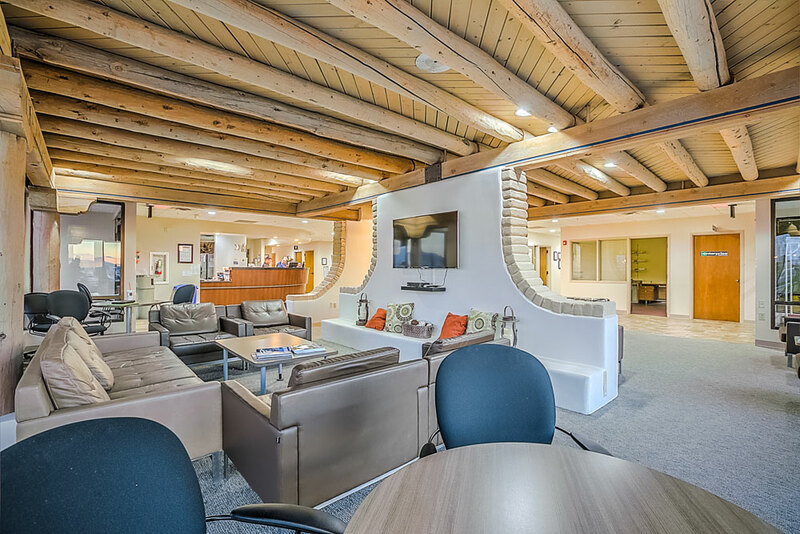 What an outstanding FBO! On every occasion, all of the staff -- without exception -- have been welcoming, friendly and helpful in every way. This is a first-rate operation. I've found none better. We stopped here because the last time we stopped here they were awesome. They didn't disappoint this time either. We don't get to ABQ as often as we'd like but when we do this is our entry point. 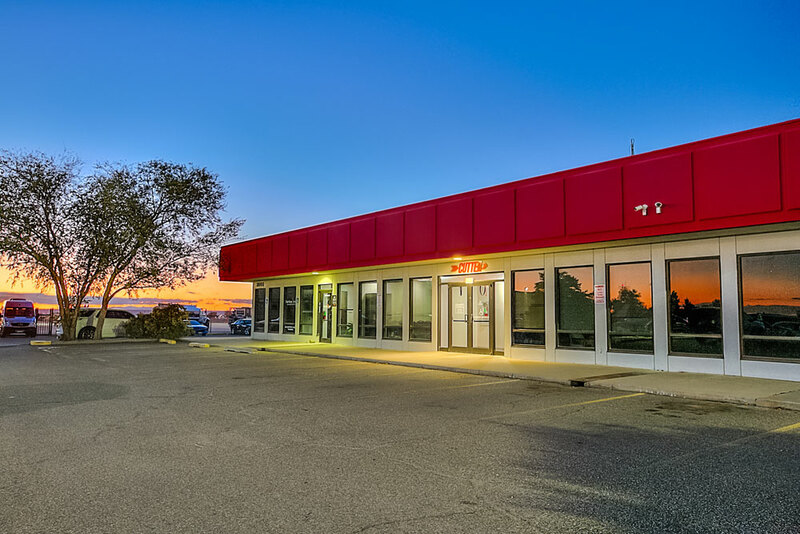 Great service, very friendly, and all around great FBO. Had my plane ramped right on time with fuel. Will use them again. Excellent service. Chelsea met my plane yesterday, grabbed my bags out of the plane and put them in my rental car, which was waiting on the ramp, and wouldn't let me dump my own trash. They asked that I call ahead today and they would pull my plane to the front of the ramp and when I called and spoke to Adam, they had already done it. Cutter ABQ knows service and everyone is on the same page. They continue to impress! Thanks. Still great service. 25 Cents per gallon discount for AOPA members (make sure you have your membership card). Overnight fee is now $20 per night with the first night waived with fuel purchase. Cutter in ABQ is a real class act. I recently flew my Piper Archer into ABQ for a fuel stop along my planned route but ended up spending the night due to bad wx. Cutter literally rolled out the red carpet for us. I was treated like I taxied onto the ramp in a Gulfstream. They gave us rides to a restaurant and hotel and had the plane ready and fueled for our morning departure as well as cleaned our dirty windshield without asking. A special word to Ben, Seth and Chelsea on the line for going WAY above and beyond to serve us. Stopped for night 11/19/15. Met by follow-me truck. 2 line guys offered to help with bags. CSRs offered help with hotel reservation and courtesy transportation. Aircraft fueled and up front ready to go on time next morning. Thank you, Grant, Elizabeth, Kerrie who made everything about this stop first class. We'll be back. As with any Cutter location, they have an army of line workers, great CSRs, and nice facilities. Very easy transition with the car pulled up to the plane for passengers, and a courtesy ride for pilot to air terminal. Great service and will be back. 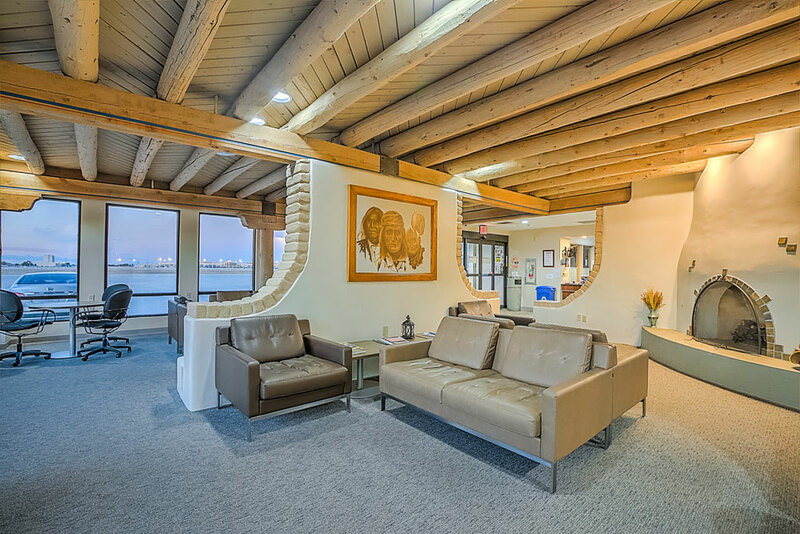 Our arrival confirmed Cutter to be the "Best of the West" FBO. From guidance to our special do-not-tow parking, to the immediate roll-up of our car to the aircraft, you confirmed why I have visited your FBO since my first 1980 visit taking a Cessna 150 from Iowa to LA. Thanks for the superb work. I have flown left front seat over every continent but Antarctica, but I have never visited a better FBO. I'm writing to thank you for the outstanding service we received upon our arrival at Cutter Albuquerque on June 30, 2015. Our rental car from Hertz was brought to the plane and stocked with cold bottles of water. The passenger transition from plane to car was quick and efficient. We had been traveling in the heat of the middle of the day and the rental car A/C was on high and the chilled water was much appreciated. Everyone worked together to make my passengers happy. It made me look better for having chosen your FBO. Enroute from KCGZ to KEPM we had emergency landing at KABQ due to an extremely strong odor of fuel in the cabin. I cannot say enough good things about the way the emergency was handled by ATC, the staff at Cutter, airport fire department and airport operations manager. They were extremely helpful, courteous & professional. Everyone went beyond what was expected to help us out. The aircraft was cleaned up, repaired and in 2 hours we were on our way to KEPM. Kudos to ATC, the entire staff at Cutter, KABQ fire & the KABQ operations manager. From the front desk, line crew and management Cutter Aviation rolled out the red carpet for our 5 day stay. The best customer service and support we've experienced in a very long time. Thank you Cutter Aviation! We made a spur of the moment decision to overnight here on our way back from the Midwest due to weather and timing. Same great service even on short notice and even without a reservation. Fees waived with minimum fuel purchase and an AOPA member discount too. Just stopped at KABQ overnight, and the experience with Cutter Aviation was excellent. The staff was extremely helpful and friendly. Will use them again. I was in again this past weekend and as usual I received great service. Parked out front when I arrived and the plane was put out front again before I returned. AOPA fuel discount still in effect. My hat is off to Jim a CSR at Cutter. I decided to stop overnight in ABQ for weather due to weather concerns, He recommended to me a hotel, got a room for me at the Cutter rate, and drove me to the hotel. He said that either he or another CSR would pick me up in the morning and I can get back on my way home. These people are real class. Cutter has my unqualified endorsement. I needed to overnight at ABQ on a cross-country flight in my Carbon Cub and a friend suggested that I use Cutter (typical word of mouth recommendation). Wow, I'm glad I did! Everyone there from the line guys, to the front desk staff, to the shuttle driver was very genuine and helpful. Usually a staff at a company like this is inconsistent, there are goods staff members and bad so it is just luck what you get, but I very impressed with the consistency of Cutter's staff in terms of both attitude and service. 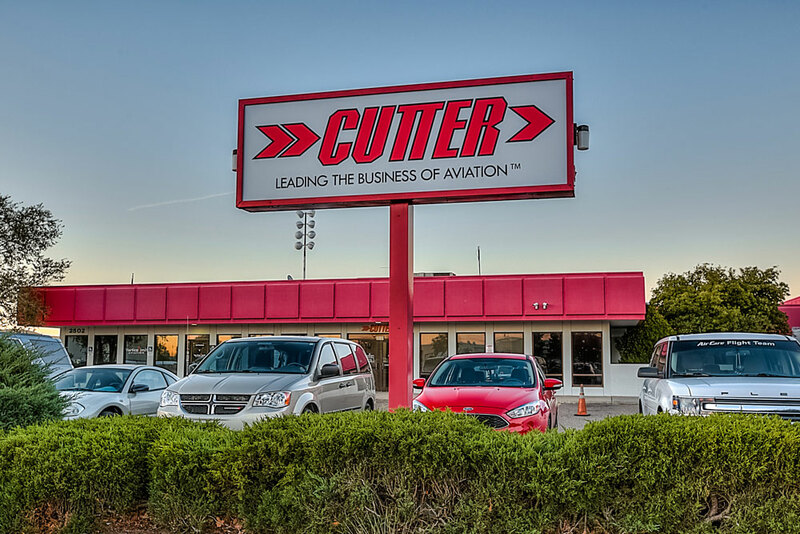 Cutter will be my go-to FBO in the future without question I highly recommend them! 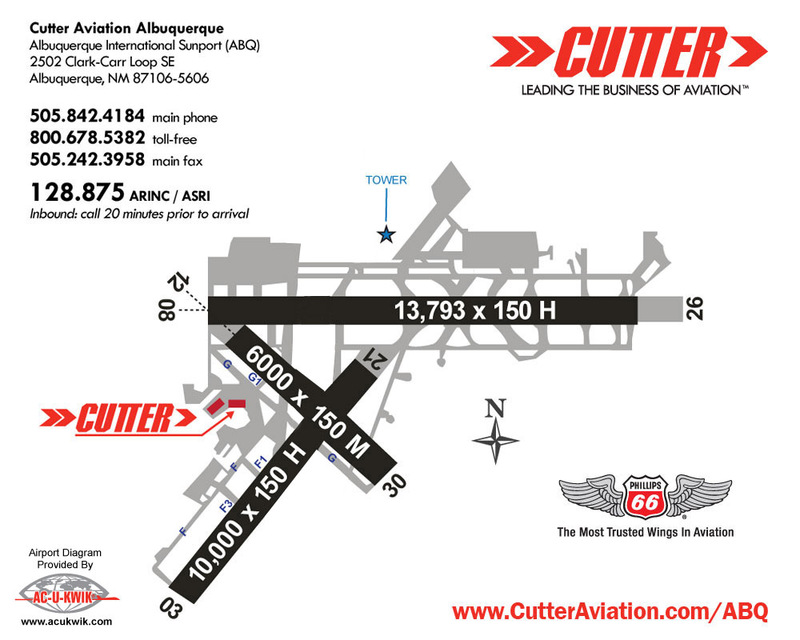 Cutter ABQ is my favorite FBO. Whenever I go to ABQ I know it will be painless and welcoming. From pulling you right up to the door. Having the car brought out to the plane and all of the other little things, they make it always pleasant to visit. Not to mention 100LL is reasonably priced. I just wanted to let all my friends at Cutter Aviation know that I am retiring from professional flying. Appropriately, I finished my last flight, arriving at Cutter in an Eclipse the night of February 2, 2019. I have been a licensed pilot for 64 years and have flown in the military and as a professional pilot for 59 years, and now it’s time that I spend a little more time with my wife of 59 years. It’s been a “great ride,” because I love flying, and because of all the great people I have known and worked with in aviation. While I’m retiring from professional flying, I will not be gone. You will still see me around the airport in my Mooney! Recently flew into Cutter at ABQ to provide transportation for a Wounded Warrior who was confined to a wheelchair. The staff at Cutter rolled out the "red carpet" for the wounded vet and his family and the airplane crew. They supplied a forklift to load the vet into the cargo door of the Pilatus. This FBO supports vets and I highly recommend their service. Friendly staff, nice environment, lounge and good cookies!! Was here again last weekend. Same good service and fuel discount for AOPA members. My wife and I just wanted to take a moment to let you know how thankful we are to your amazing team of people. Everyone we had the pleasure of meeting, from the security team to the line workers, was quick with a smile and a warm greeting - even at 5:00 am! As a professional aviator, it means so much when I encounter a team of people whose passion for those they serve is shown with such warmth and kindness. The more places I fly, the more I realize that it truly is rare. When my wife and I suffered the vandalism of our vehicle and theft of our property during this year’s Albuquerque International Balloon Fiesta, your team did not hesitate to help us turn a negative experience into an opportunity for something good. Getting to interact with your team each day was truly one of the bright spots of our trip. Not to mention the fact that your generosity allowed us to enjoy the event, knowing we would not need to worry about any further incidents. If there is anything we can do for your team to show our thanks when we are in Albuquerque again, please do to hesitate to ask. Very friendly staff, clean facilities and free awesome brownie squares and pink lemonade! Great experience at Cutter Aviation ABQ on Friday August 12th. Radioed ahead to request fuel and a car to grab lunch and pick up our passengers in the area. Jim had the car ready and we were on our way in a few short minutes. Upon our return the correct amount of fuel had been dispensed, cold water bottles were offered along with the AOPA discount on Avgas and we were on our way. Ramp fee waived with the 20 gal minimum purchase. Jim and Cutter made this a very smooth trip and got us out on schedule and home to Spicewood, TX before dark. Thanks! We will be back! Kerrie and Chantel went out of their way to make us feel valued even though we were the only a single engine Cessna among the heavy corporate iron. My experience with Cutter at KABQ has been consistently excellent. I stopped last week in my Bonanza going from California to Oklahoma, and stopped again coming back. Everyone was friendly and helpful from the counter staff to line staff. They give a 25-cent discount on fuel prices with an AOPA card and waived all fees, including overnight fee, because of my fuel purchase. Super friendly, helpful and easy to deal with. Give Cutter a try. I flew into KABQ last week in a light twin, stayed a couple nights, and had first class service from all. Jessi and Crew are always some of the best in the business. If you stop in KABQ, stop at Cutter! Flew in and out of Cutter Aviation , Albuquerque on Friday March 27th. The line service was very prompt. I repeated the trip Sunday March 29th and was in and out in a flash. I really appreciate the great service. Another great Cutter FBO. Line crew handled us very efficiently even though they had an Airbus to service and load at the same time. Customer service got us a good hotel deal and arranged courtesy transportation. Thank you! So I flew into Cutter in my more-than-humble 1947 Ercoupe and parked next to a Lear. Yikes! But you know what? The staff treated me like a king! They literally brought out the red carpet (but then didn't know where to put it because Ercoupes don't have obvious doors if you've never seen one before). It was a hot day, and my teenage son appreciated being handed a bottle of cold water right off the bat. The linemen--and linewoman--were helpful and friendly, as was the front desk staff both in the evening and the following morning. It didn't faze anyone that I only needed a few gallons of gas, and they found hangar space for me for the night, including locating a cord for my pre-heater. The next morning my plane was on the line and ready for me right at the requested time. The facilities are very good, with every thing you could want, with fast Internet and comfy chairs; but I found it was the Cutter people who really made the difference. They were extraordinary. Made an inflight decision to divert here. Despite my unexpected arrival I received the same great service I've received in the past. The plane was refueled before I even stepped inside the building. They found me a hotel room at a really good rate and shuttled me over. My AOPA membership resulted in a fuel discount and the first night's fees were waived. Stopped here again on an eastbound trip and found same outstanding service as before. Promise, Alexandra, & Leo at the desk are very efficient with arrangements. Kerrie, Jeff, Matt & Seth on the line were amazing with parking, luggage, and directing traffic. The B-17 was on their ramp and was set up in the lobby to give tours and rides, but the Cutter staff was courteous and accommodating making the entire experience here pleasant. Thank you, we'll be back. We have stopped here at nearly every one of our sixteen crossings of the United States coast-to-coast. They are very focused on customer service and even stepping out of a little four-seater piston single we were treated like we were going to drop ten grand on jet fuel. They loaned us a crew car to run to dinner and pick out a hotel and then drove us over to the hotel. The plane was fueled and pulled up in the morning as requested. The past few years the ramp had gotten very rough and we were happy to see this year that it was brand new concrete. This is a great FBO! The professionalism and the customer service we received were second to none. Chelsea and Shawn thank you for all that you did for our passengers and us. We will definitely be coming back to Cutter when we're in Albuquerque. My experience at Cutter ABQ last week was great. The day before arriving I clicked on the Cutter website link on AirNav and was offered a web chat with a service advisor. They quickly arranged everything for our stay, including rental car and a nice discount at the Hotel Andaluz (great boutique hotel downtown!). When we arrived late on Wednesday, they brought the car right up to the Cirrus and gave us directions to the hotel. The next day, the airplane was already filled up as requested and we got an AOPA avgas discount. Hat's off to the service team of Chantel, Kerrie, and Elizabeth and the line crew at Cutter ABQ! I've used Cutter at other airports in the past and the same great service was provided at this location. For a Cessna 182 the ramp fee is $20 and the overnight tiedown fee is $10 per night. The ramp fee and the first night's tiedown is waived with a 20 gallon fuel purchase. AOPA members receive a 25-cent discount per gallon. I had several special requests today to do my test work on a G650. We needed two fuel trucks fully fueled to refuel to the weight we needed. Everything was handled professionally and expediously. A great FBO in my last 17 years of stopping there. Thanks. Flew into ABQ on a DA-40 for an overnight layover with my wife and dog. Staff at Cutter were awesome! Had treats and water for the pooch, gave us a ride to the hotel and picked us up in the morning. Plane was already pulled up, fueled and even had the red carpet laid out. Treated us first class, even though we came in a light single. Will definitely be back! The line service was excellent. From help with the bags to the cars to the little things, I was glad to have Matt and his team there for professional, attentive help. Great FBO! Have used several times since May for fuel. They have it down right. Nice FBO facilities too. Consistently outstanding service in every way! Called ahead, Alexandra provided info about fees, hangar, and transportation. Met by "follow-me" truck on arrival. Jeff & Seth got us parked and helped with bags. Leo arranged hotel/transportation. Jeff drove us to hotel. Next morning plane was pulled from hangar & fueled on time. Kerrie helped with loading. Remember Jeff & Kerrie from previous trips. Outstanding people made everything about visit go smoothly. Thank you! Arrived at 9 p.M. June 24. Met by line personnel promptly, receptionist found hotel despite major athletic event in city, gave ride there and back next morning. Aircraft hangared because of strong winds (38g50) and brought out as scheduled. Needed hydraulic fluid and mechanic obliged without charge. Cutter is not cheap but there is no better service anywhere. Always a great experience and superior service. Thanks to the line guys Mark, Roberto, and Andrew for prompt and efficient fueling. Been into a couple of Cutter Aviations. All have been good, but the folks here at ABQ are exceptional! Arrived here in a Mooney for a quick turn fuel stop. We were met immediately by smiling faces and a can-do attitude. Excellent customer service and a great facility in general. I will definitely be back to this FBO. Thanks! I wanted to write you and tell you thank you. My father and I flew down to Albuquerque yesterday in a red and white Cessna 182. Your staff treated us like we were flying something much larger and more expensive. We didn't need much fuel, but they still treated us very well. A friend of mine said you can always tell the character of an FBO by how they treat the little guys. By that definition, your team showed amazing character. From the line staff literally rolling out the red carpet when we landed to the front desk staff recommending a very good local restaurant, your staff is top notch. Thank you so much for your hospitality, and I will definitely be back. Stopped for Balloon Fiesta. Very helpful crew. Had my bags, took me to a local hotel, gave my 4-year-old son a wooden airplane and some goodies (after asking me if it was ok), which made his day. The whole experience was very easy, quick and painless. Definitely going back next year. I echo all the superlatives commented by other pilots. 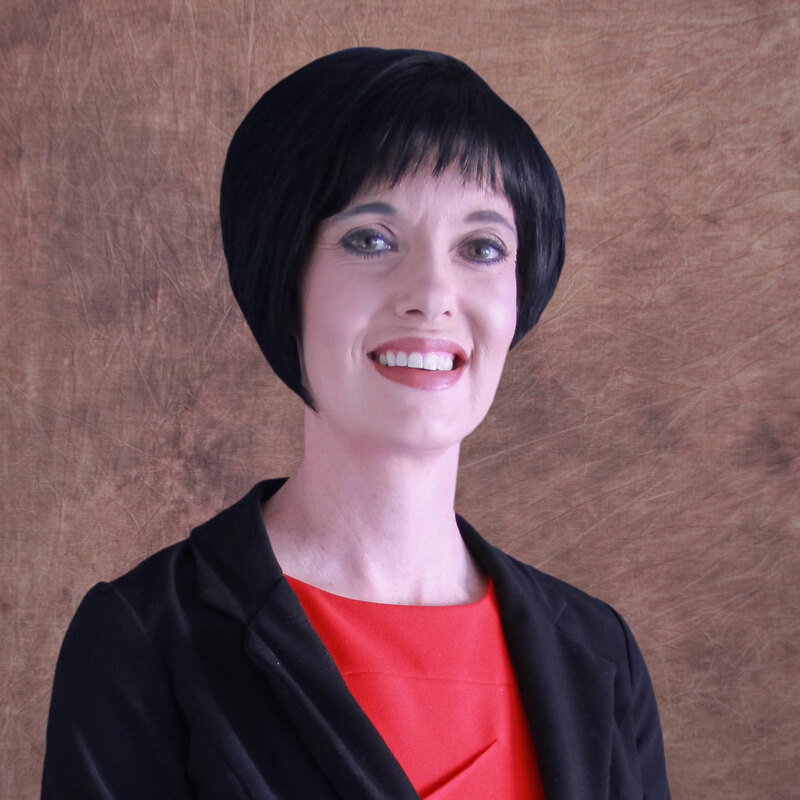 Chantel went far beyond the call of duty to make local arrangements including loaning one of their offices for an important meeting. Cutter is a truly first-class operation. Diverted here due to weather. Was able to arrange for a rental car on short notice and it was waiting for us when we finally arrived. They arranged for a hotel for us when we returned with the rental car the night before our departure and shuttled us to and from the hotel. Thank you for the great service yesterday at ABQ and helping us make our Angel Flight mission from SDL to ABQ, a success and a pleasant experience... You folks are the best!! I have visited Cutter at ABQ several times during the past year. The line staff know exactly how to handle my Eclipse (which makes sense, since Eclipse Aerospace is right next door!). The front desk staff are friendly and competent. Really an exemplary operation. We flew in on Thursday April 9th and radio'd from 80 miles out that we needed fuel but wanted to see if someone could get us some sandwiches for the flight to SoCal directly after fuel. When we landed, the sandwiches were there, fuelers were ready and we were on our way in short order. Best service of nearly any FBO out there, and great attitudes. Thanks Cutter ABQ. Thanks for taking such good care of us regulars (Lifeguard 10 from KROW). We fly in several times per week and really appreciate the quality service. Arrived mid day in my Bonanza BE36. Was meet by staff and marshaled into a parking spot in from of the entrance door. They brought a baggage cart and water. I took on 40 gallons (a bit high priced at $6.14) but no other charges (with 20 gallons or more). Got a ride to a hotel right away in a nice cool van. Next morning the plane was waiting right out front ready to go. Very pleased. Will use next time. Transponder went out on the way to ABQ. Cutter's avionics shop got it right in, handled all the warrantee stuff with Garmin and installed a loaner until mine got back from Garmin. They were very prompt and I would highly recommend them. Flew through last week on a round trip to Arizona. Rolling in a piston single - stopped at Cutter KABQ both ways. Wife likes to bring the pooch on the longer trips. Karrie at Cutter was awesome! Literally brought out the red carpet, water and treats for the dog. Counter staff is super nice; linemen are super fast! Not our first time here, and certainly won't be the last. Thanks Cutter, you're still our favorite FBO! I was recently at Cutter at ABQ and PHX. My home base is ILG in Delaware. I am a CCA Member. Stayed at PHX for 4 days and ABQ for 6 days. Aircraft is a Premier 1A, N103SK. Had Enterprise rental car at each location. My total experience at each location was great. FBO personnel were great. I wanted to let you know this. Thank you. 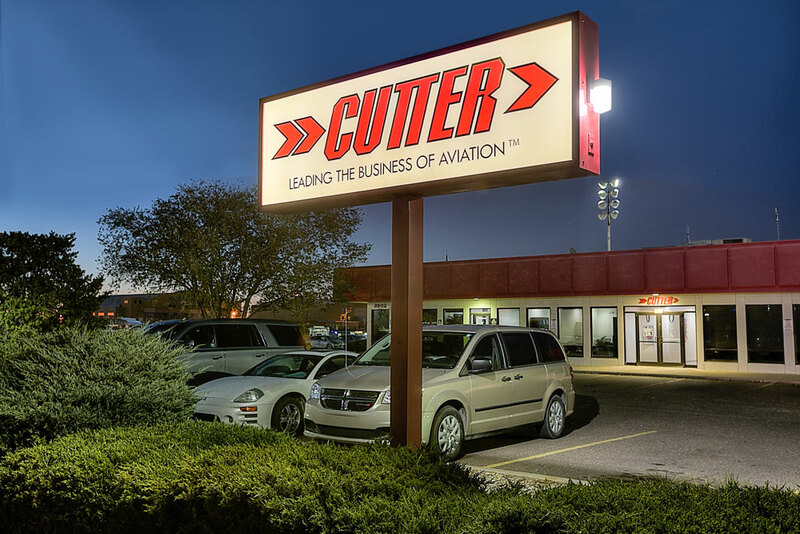 I did an overnight stop over in ABQ on Saturday the 15th of Sep and as usual, Cutter provided excellent service in every way. They treat the piston guys just as nice as the Turbines and my dogs are always welcome. 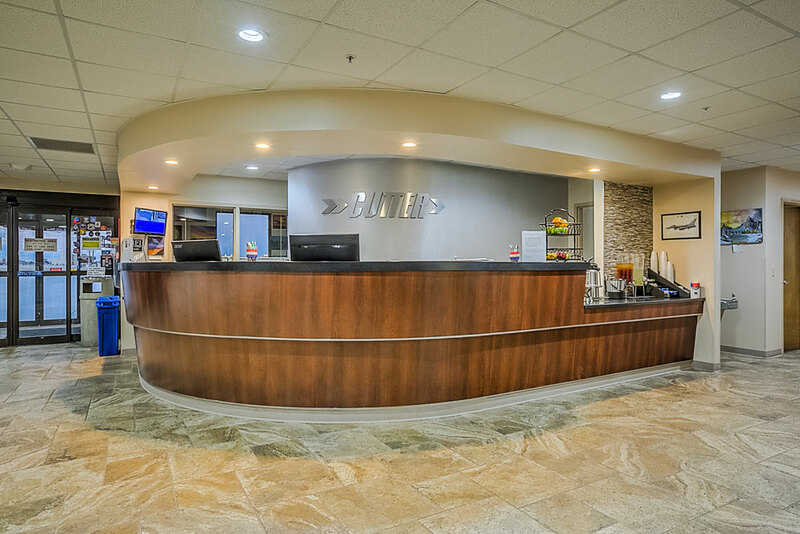 Cutter definitely sets a high standard for FBO services. Been about a year since we were here last, but it was like returning home. Jeff parked, greeted & helped with luggage. Promise arranged hangar, hotel & transportation almost before we could down the bottle of water they provided. Next morning plane was out and fueled on time & Kerrie helped with luggage and marshaling us out. Nice people here. I was particularly impressed at how courteous all the staff were, even when dealing with a couple crews that must not have had a good day. Thank you! Stopped through Cutter with a Piper Pacer on an overnight, but ended up staying for two days because of starting problems. Everyone was very helpful in getting great hotel rates and rides to and from the Best Western (also very nice) and eventually the airline terminal for the way out. Always a 'best of' fuel stop for our needs. Great service from entire staff. Rental car brought to us plane-side for luggage and pax access. Thanks. CAA contract fuel here for turbine ships as ours. Merlin N307PA thanks entire cast here. Top-notch experience on a quick turn. Great facilities, great service. The personnel at this FBO are great! Promise was so helpful to me with advance planning from Canada. When we arrived at the FBO, Alexandra was talented at multi-tasking, and Promise and Melissa were so friendly and professional. Both on the ramp and inside, we were so impressed with Kerrie - she obviously sets the bar for customer service very high here - and she leads by shining example. The line crew guys are some of the most helpful, friendly and professional that we have encountered. Thanks Cutter and we can't wait to fly back to your KABQ location. Absolutely the place to be at ABQ. All great service with a smile. Hangar, car, fuel, etc. I shall return. 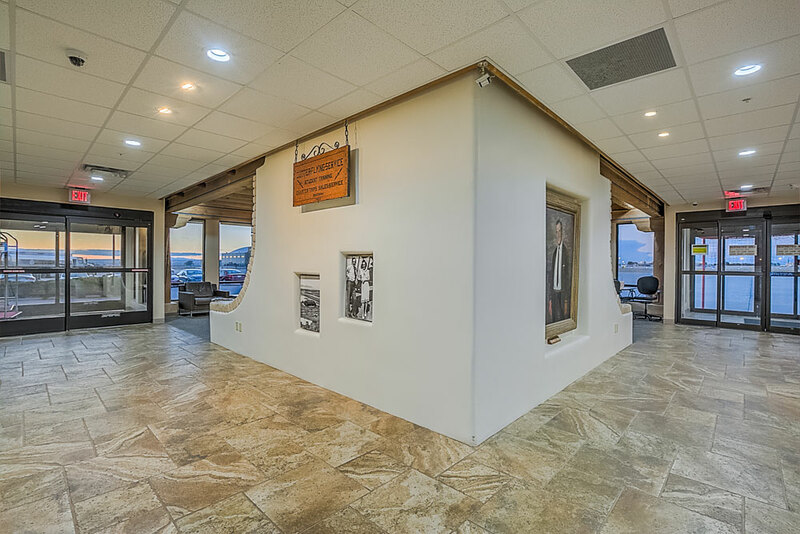 Pleasant and personable FBO even for a single engine prop. Provided free shuttle van ride to local hotel and had my plane up front and ready for departure with 30-minute notice. Waived one-day ramp fee for fuel purchase. Loved watching the military jets come and go. Will be back. 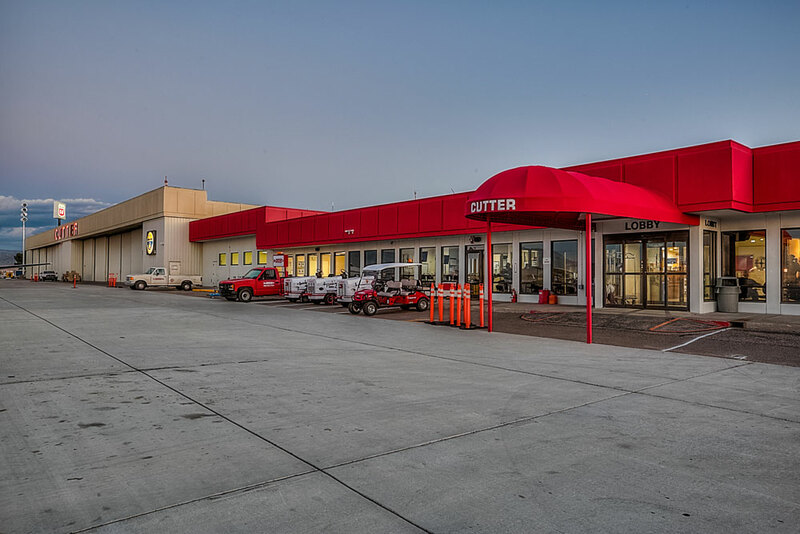 Cutter ABQ is my favorite FBO. Whenever I go to ABQ I know it will painless and welcoming. From pulling you right up to the door. Having the car brought out to the plane and all of the other little things, they make it always pleasant to visit. Not to mention 100LL is reasonably priced.